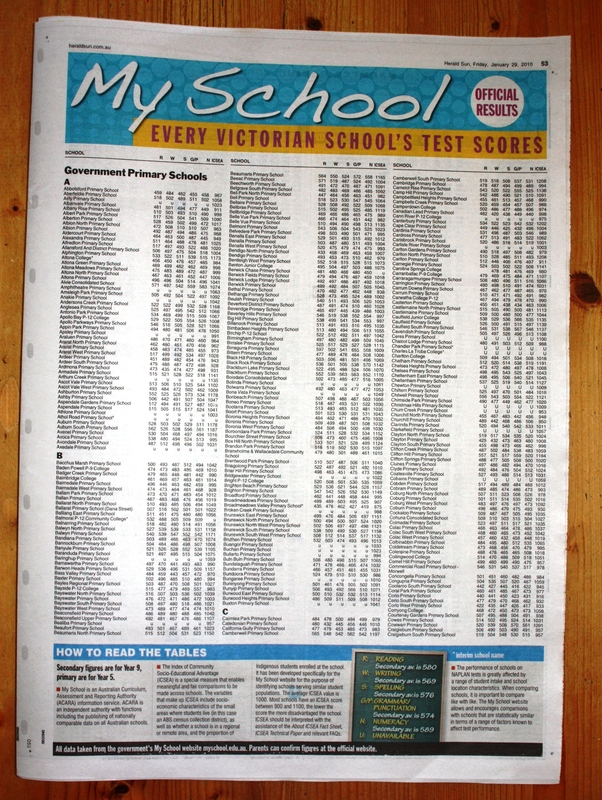 The Australian newspaper today took the NAPLAN testing to league tables to new lows today when it published a list of the Top 100 Schools in Australia based on the NAPLAN results from last year. 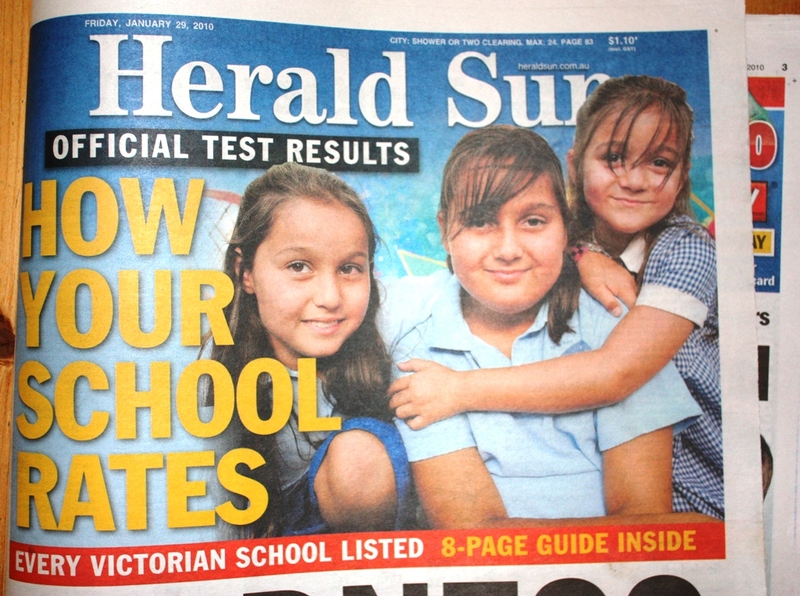 Just a couple of weeks before this year’s students are due to sit their NAPLAN tests, the Australian upped the ante, following its News Limited stable-mate The Herald-Sun, who earlier published front page news on ‘How Your School Ranks‘. 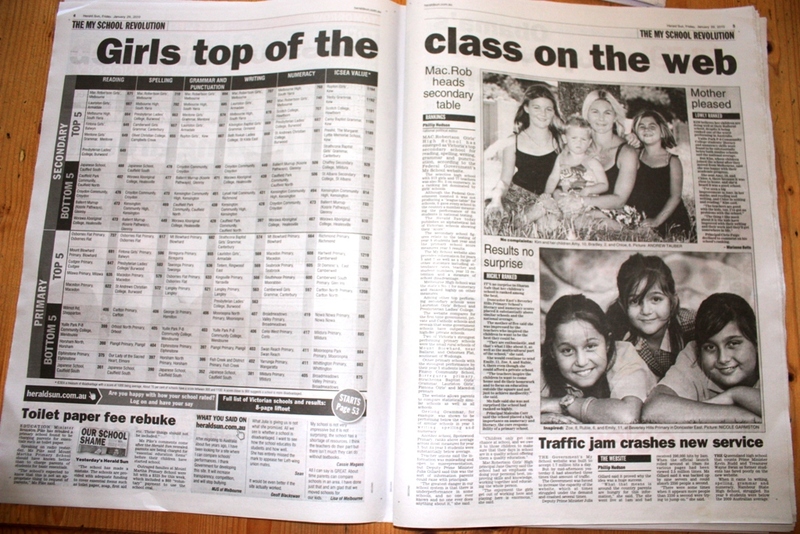 At the same as the AEU has proposed boycotting the forthcoming tests because of the dangers of league tables and the simplistic judgements that follow, the timing of this article is pretty much designed to whip up as much interest and frenzy as possible. 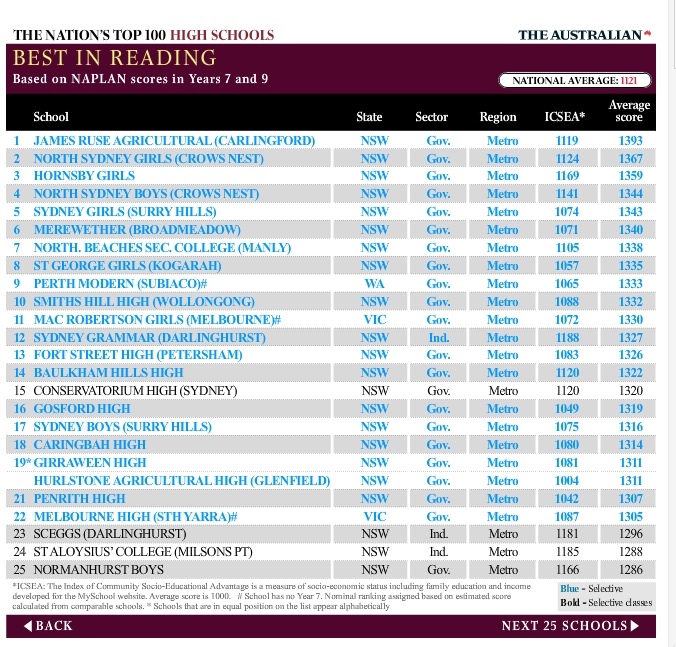 MONEY still buys the best education in Australia, with elite schools in NSW and Victoria dominating a list of the nation’s top 100 schools prepared exclusively by The Weekend Australian. Besides the obviously heart-felt and thoughtful nature of this teacher’s reflection of what its been like on the ground as a teacher in the USA under Bush’s ‘No Child Left Behind’ regime, I fear that we’re about to embark on the same sad journey of an emphasis on inflexible standards imposed from a long way away, league tables of schools (and teachers? ), naming and shaming, de-skilling the profession, politicising the educational process and simplifying the education process into things that can be placed on an Excel spreadsheet. Here’s what it feels like. Well you’ve got to say that the Herald-Sun delivers on its promises! This from out and about yesterday. 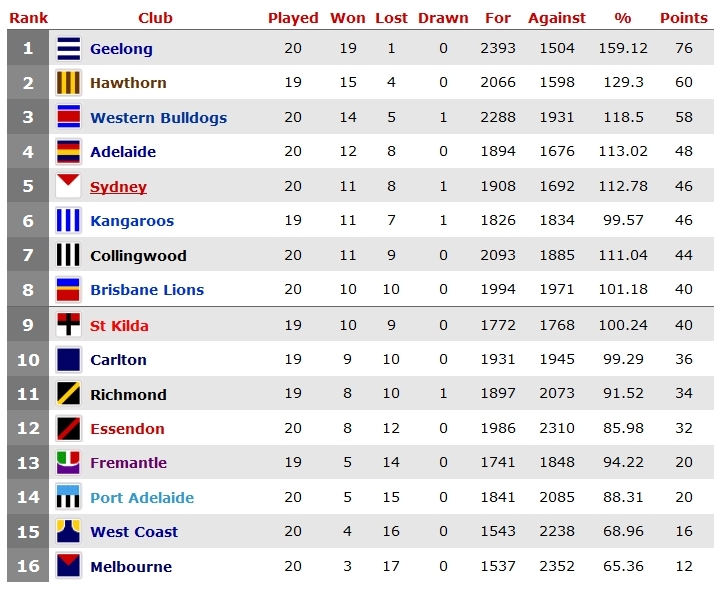 So, what’s wrong with league tables, except that Essendon has flattened out to 12th with two games to go? Nothing, if you want a simple and clear list from top to bottom with a whole lot of data attached. Plenty, if the idea is to simplify and simply rank what is much more complex than any simple list can provide. 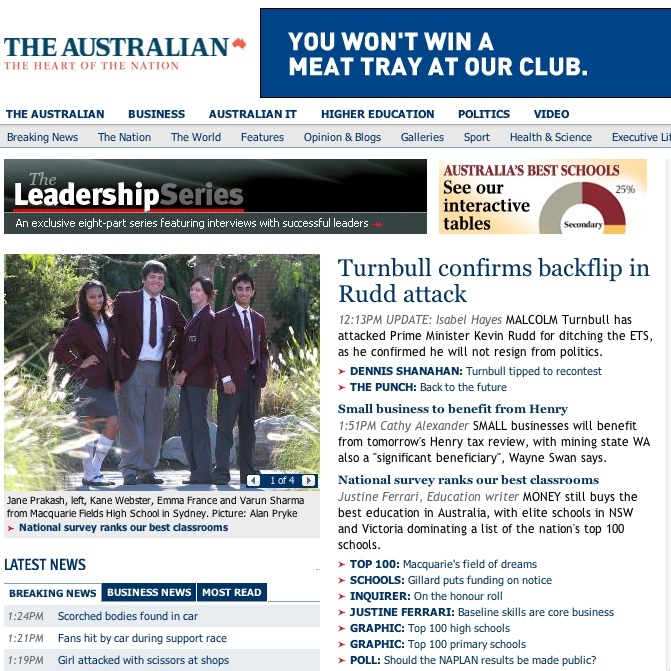 Which is what the Federal Minister was proposing this week, arguing that we were ‘kidding ourselves’ if we thought we lived in a world without league tables. 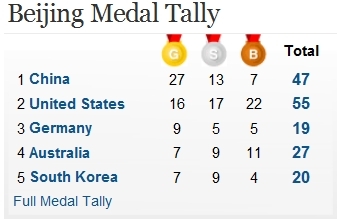 We’re not kidding ourselves. We know that we live in that kind of world, who wants that kind of simplicity, even that kind of competitiveness, winner takes all. 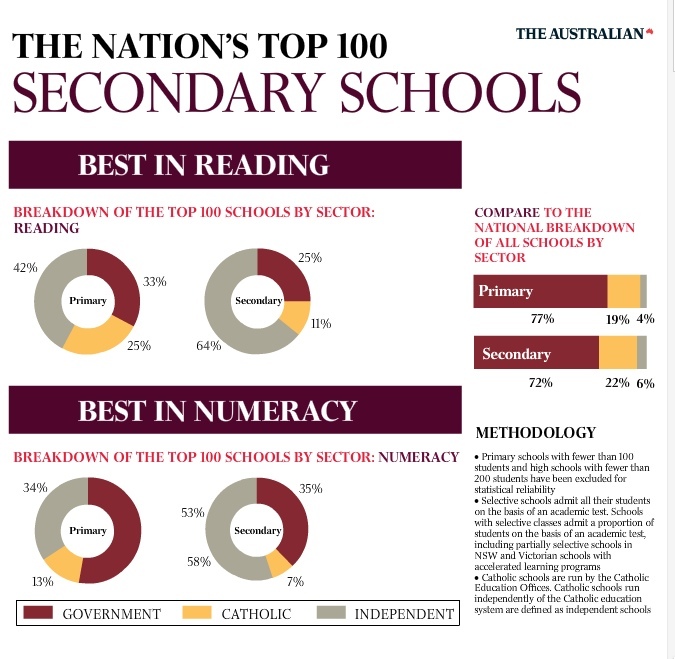 FEDERAL Education Minister Julia Gillard has defended her plan to publish detailed information on the performance of individual schools, claiming “we are kidding ourselves if we say we are living in a world without league tables”. 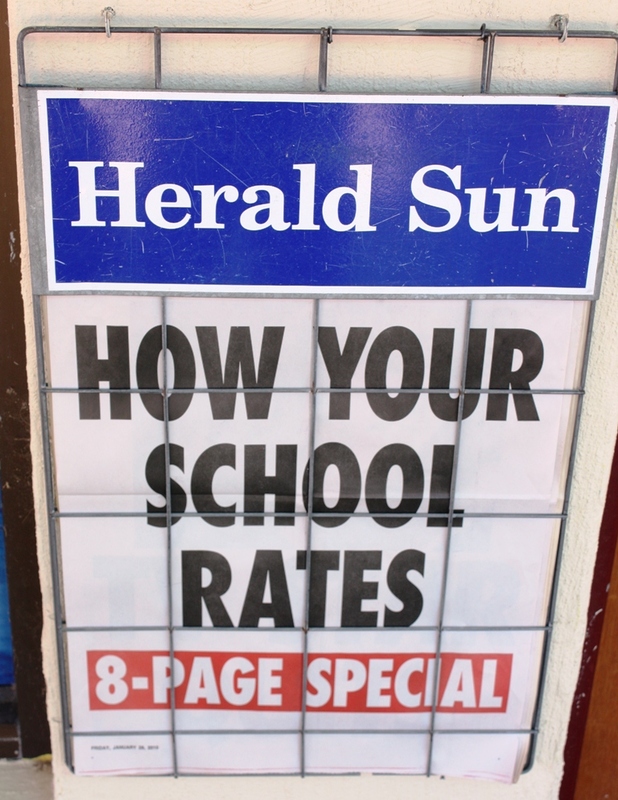 In an interview with The Sunday Age, Ms Gillard dismissed warnings that her plan to make public statistics on the academic and socio-economic profile of individual schools would create “ghetto” schools with entrenched disadvantage. She has weathered a week of flak since detailing her proposal at last Monday’s Australian Council for Educational Research conference in Brisbane, where she explained the aim of gathering and publishing such data was to help governments better allocate resources and to give parents more information about schooling options for their children.